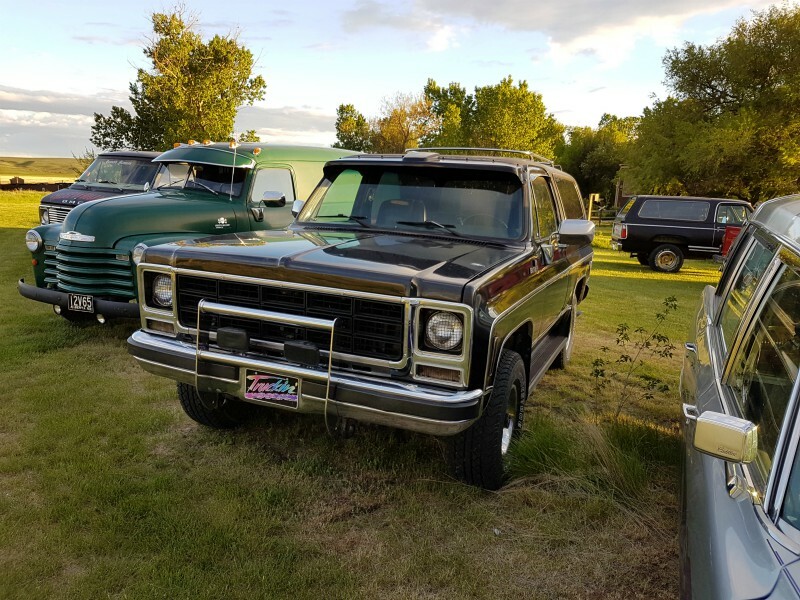 A family camping trip was the last place I expected to come across a car collection. 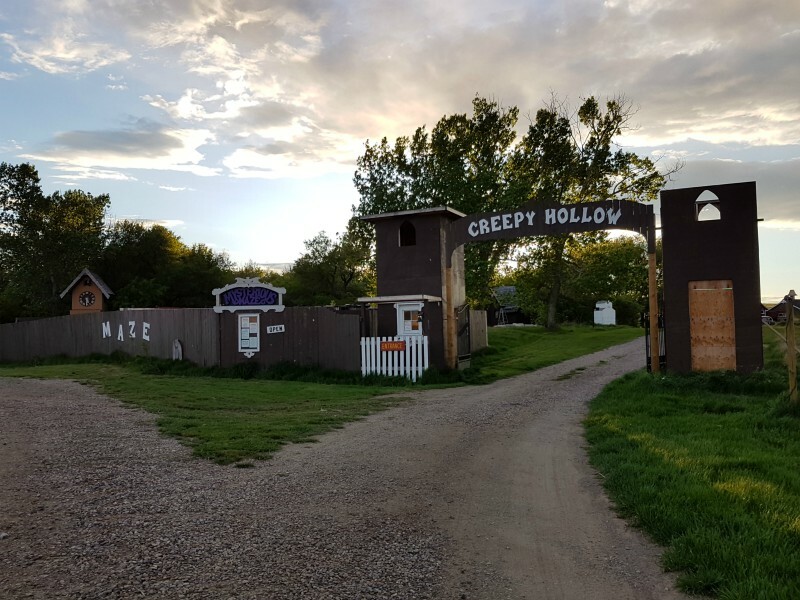 I was skeptical when my wife suggested we camp at Creepy Hollow but it turned out to be fantastic family experience. The camp side classics were a much appreciated surprise.. 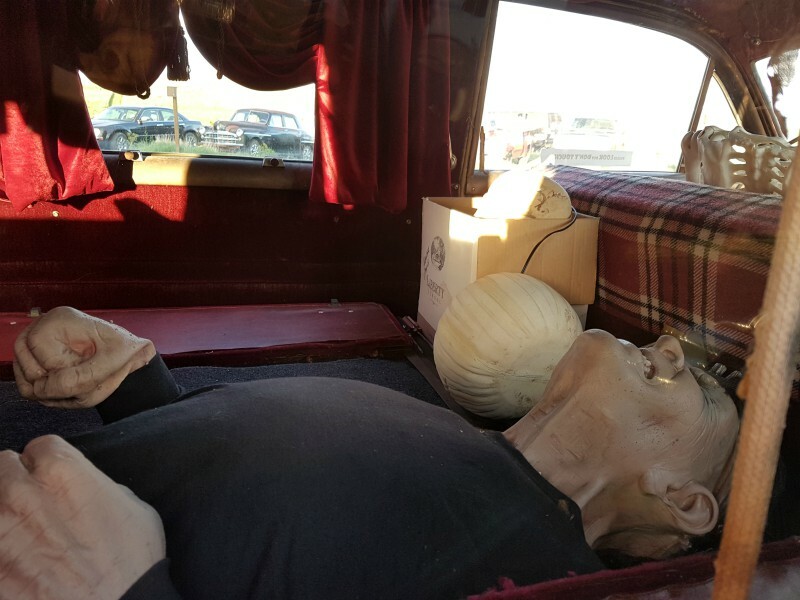 The highlight of the collection for me was this 1950s Cadillac hearse. 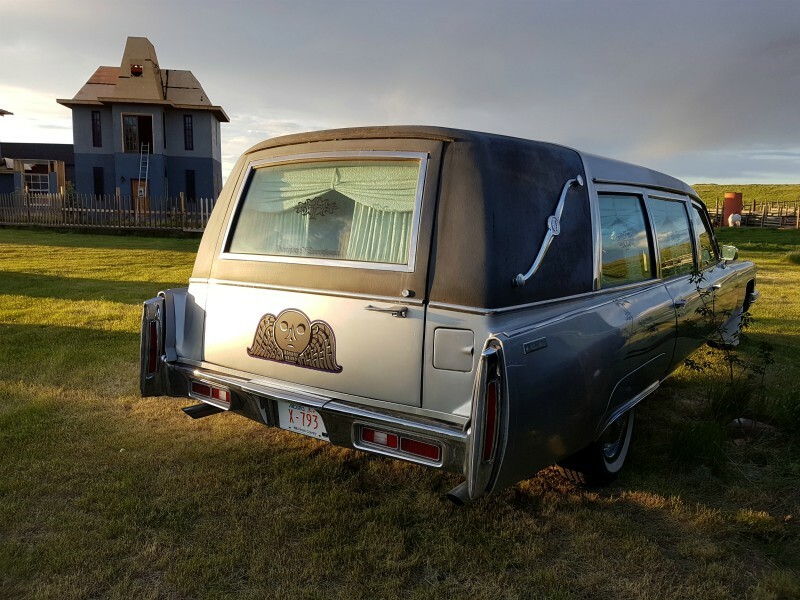 The hearse makes some sense since the campground has a haunted house theme. 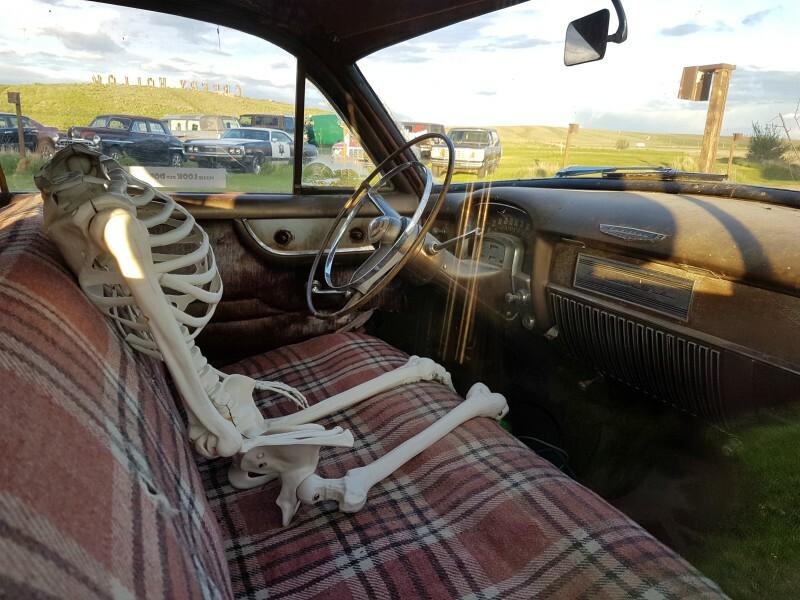 Up front was a headless skeleton. In the back maybe a zombie or Frankenstein’s monster? 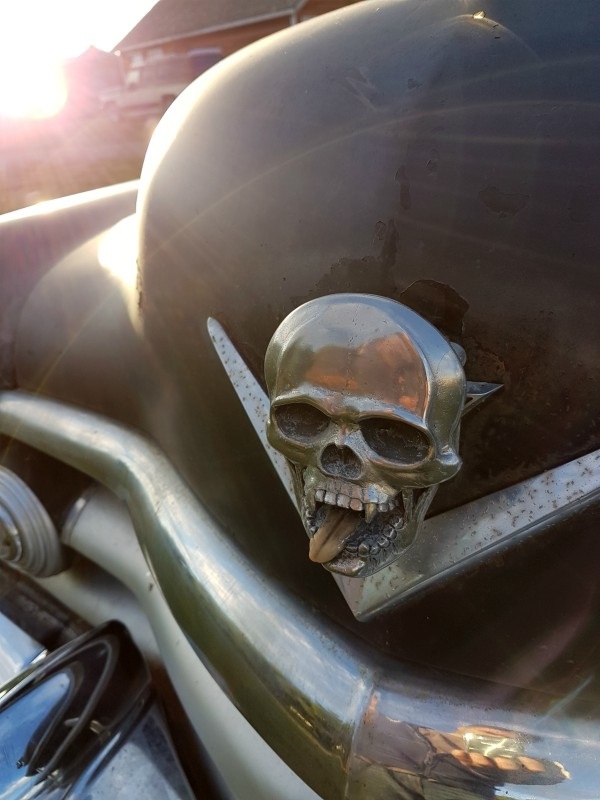 The Cadillac wreath is replaced with a skull. Later Buick rims work well on the car. This is the better side as the rear fender was missing in action on the passenger side. Hopefully the owner has it somewhere as I cannot imagine they are easy to source. 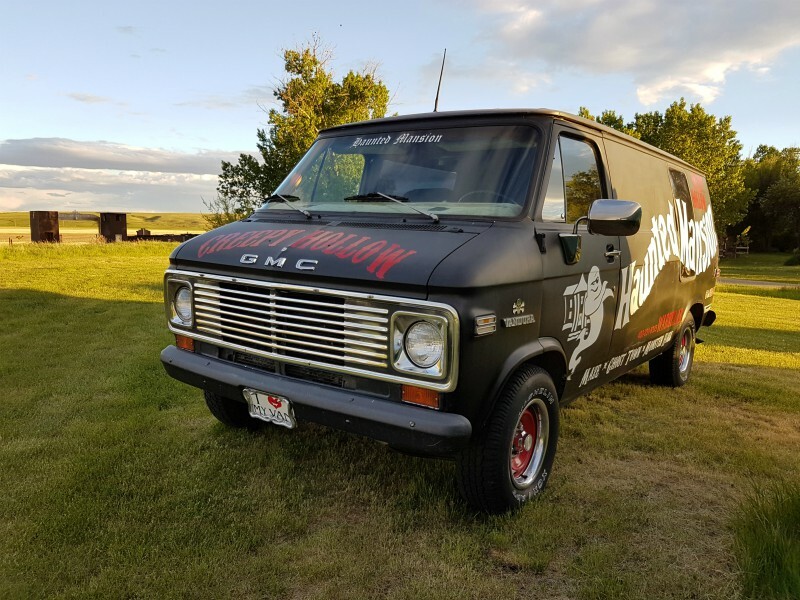 This 1976 GMC Vandura provides them some advertising. 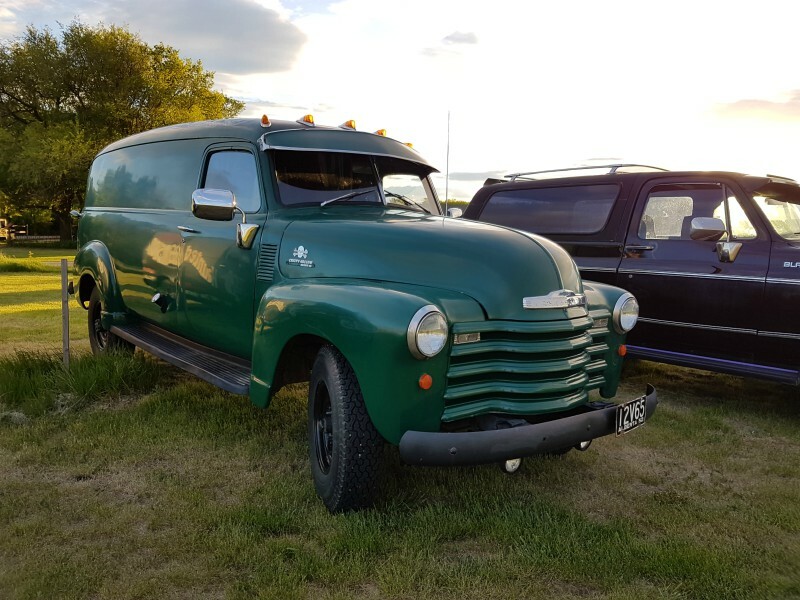 These earlier vans with this style of grill are getting to be rare sights. I bet this rolling billboard is quite effective at grabbing eyeballs. 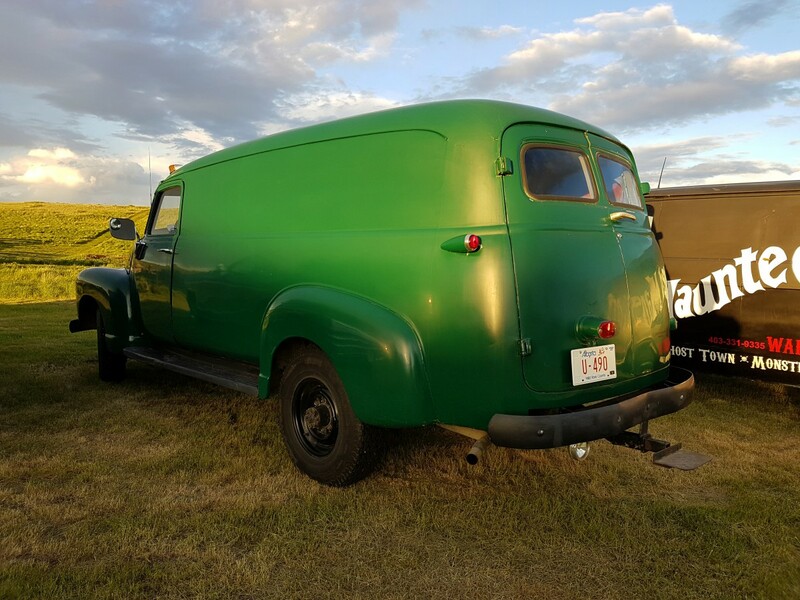 A 1952 Chevrolet panel delivery truck was tooling around the campground at various times over the weekend. The inline six sounded super smooth. 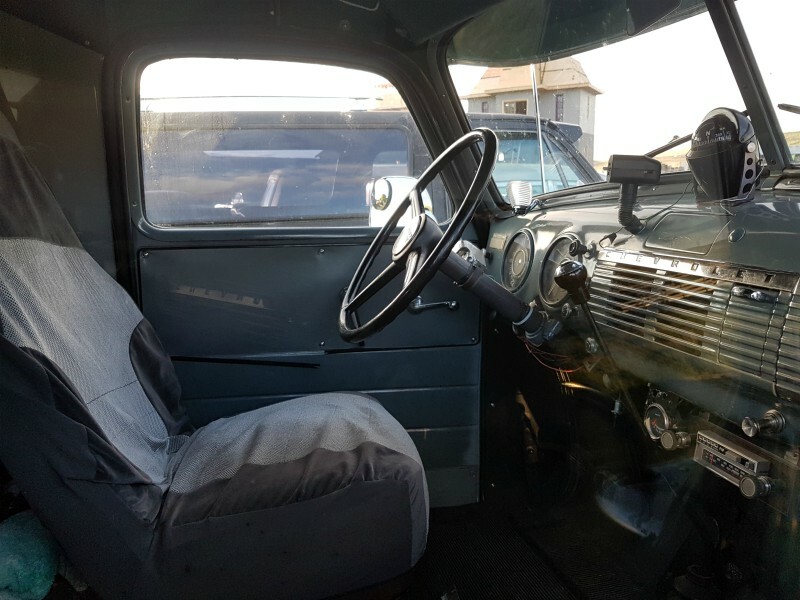 The interior appeared very original with a few additions. The panel truck appears to have the heavy duty axles. The owner told me she and her husband met at a car show many moons ago. I believe this was one of the cars present then although not in its current paint scheme. According to the hood decals, a 440cid big block powers this large coupe. 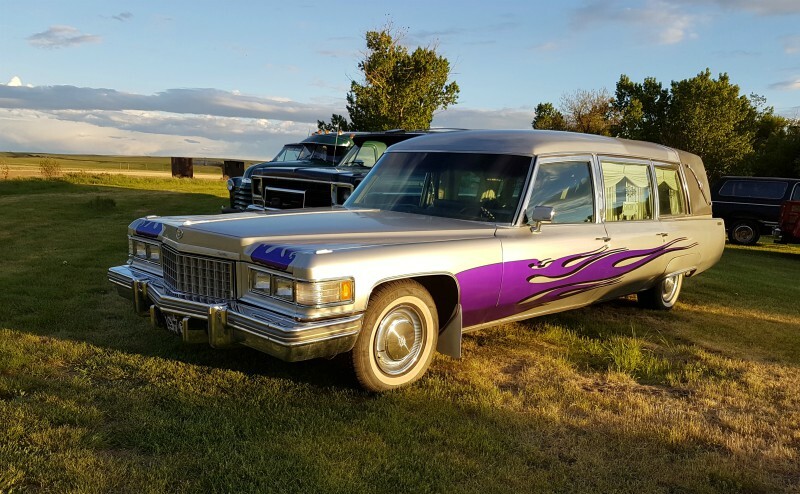 Another Cadillac hearse but this time a later Seventies model with flames. 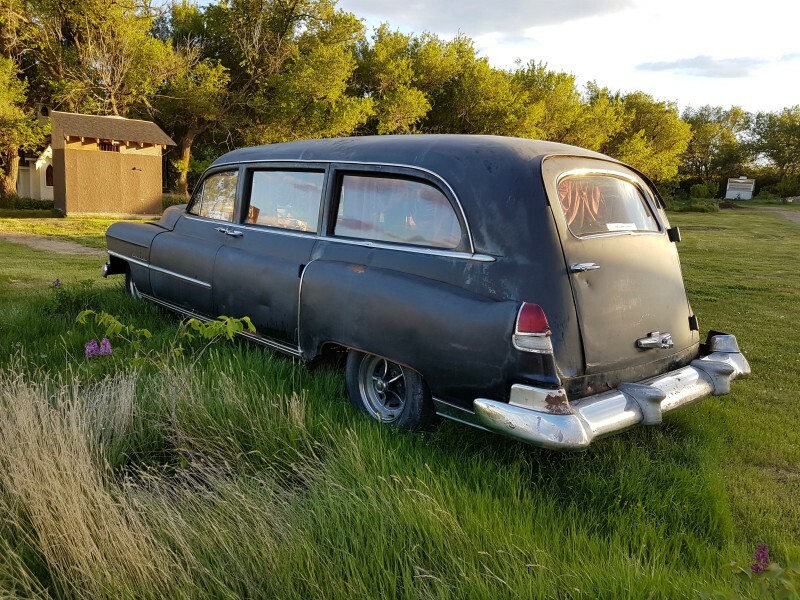 A rear shot of the hearse. I do not think I have seen that bumper before. 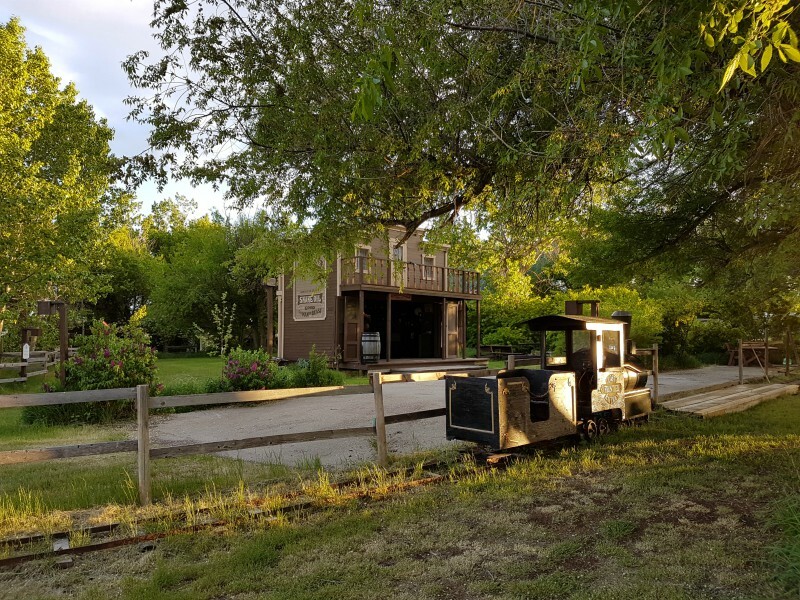 The campground’s haunted house is partially visible in the background. 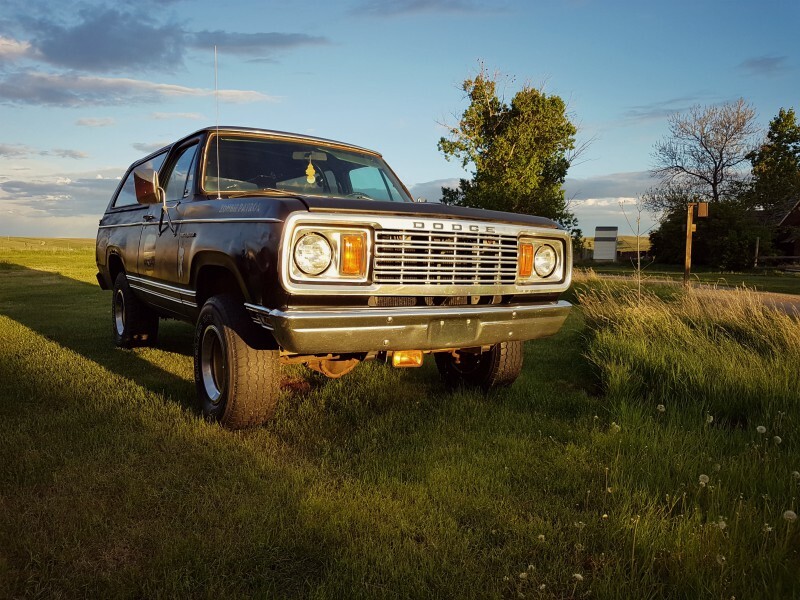 I believe a late Seventies vintage 4×4 Chevrolet Blazer. 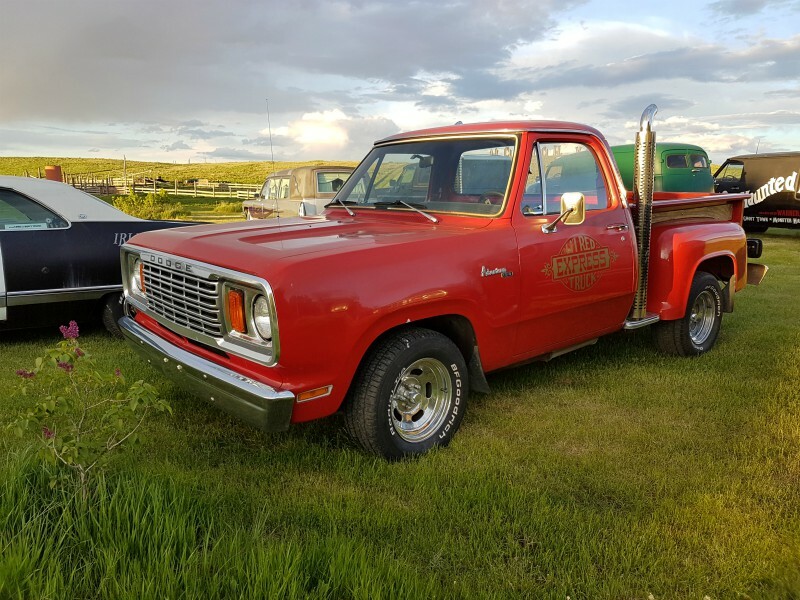 Dodge Lil’ Red Express pickup truck. Dodge Ram Charger. The owner told me she preferred this one over the Chevrolet Blazer. 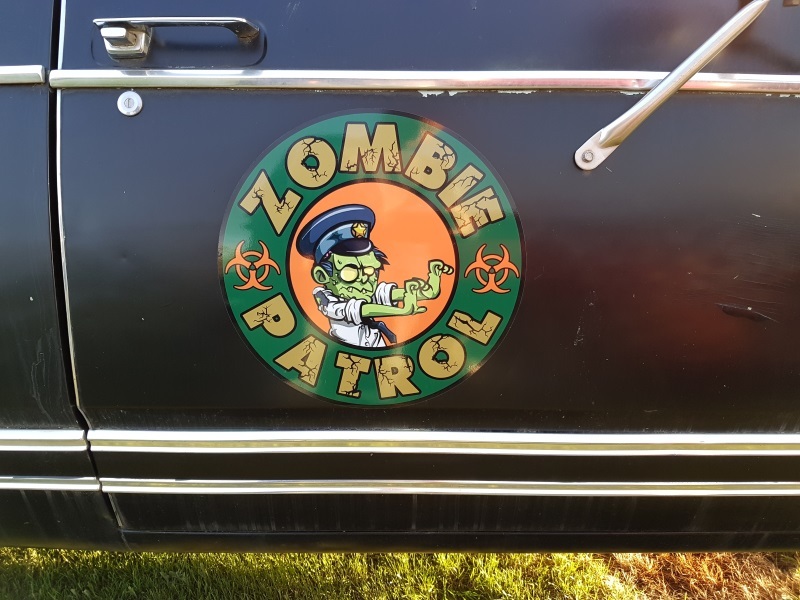 The Ram Charger sports a Zombie Patrol theme. The oldest car present was this Dodge Special Deluxe with a missing bumper and some aftermarket hubcaps (with skulls in the center). 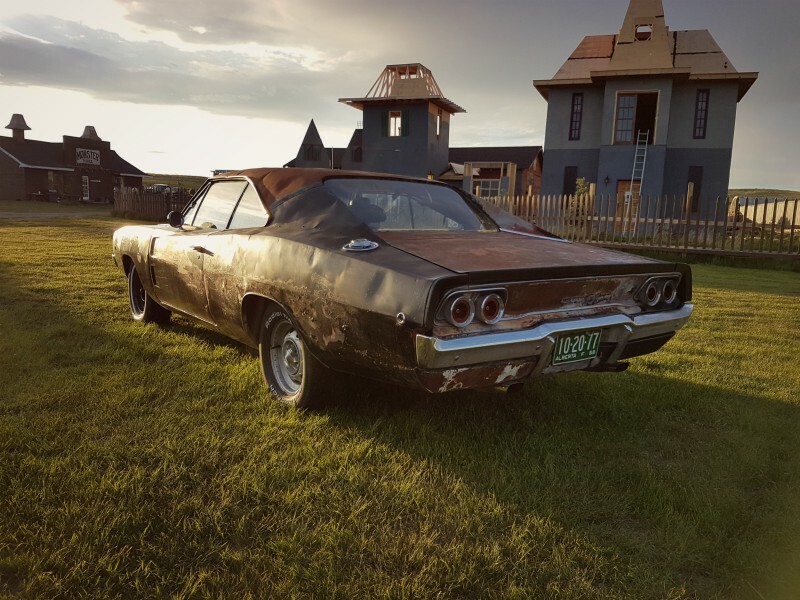 A 1968 Dodge Charger is perhaps the most valuable car in the collection even in this unrestored state. The grill has an odd wave to it. 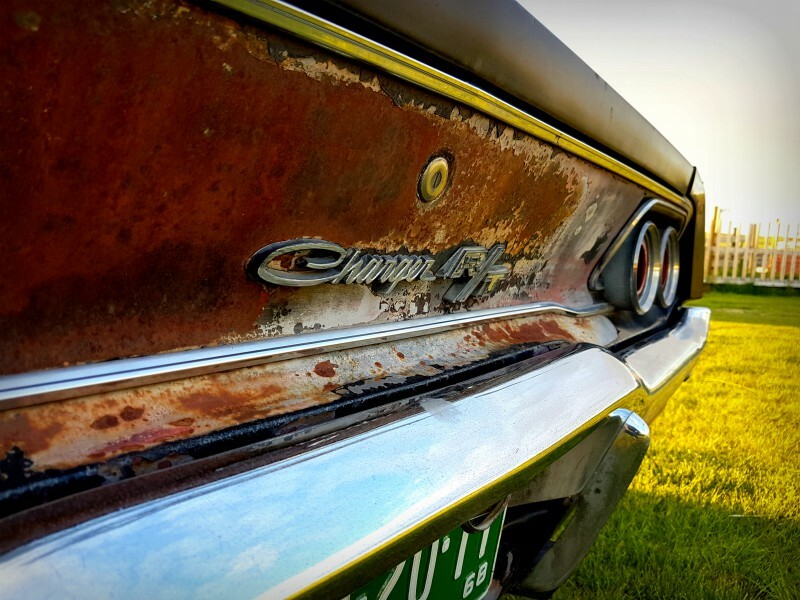 Plenty of patina on this one! The Charger would have had a vinyl roof at some point. It sports a mixed set of wheels with Challenger rims on the back and steelies on the front. Another view of the haunted house behind. 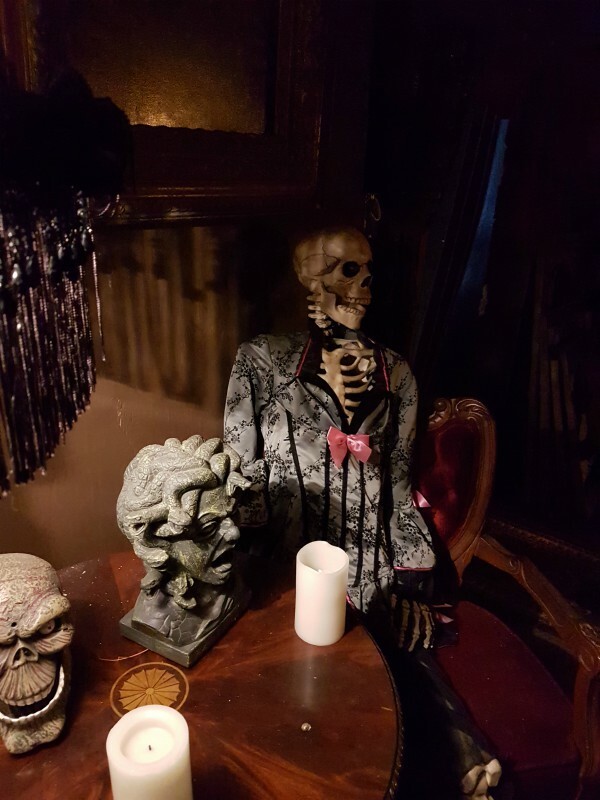 Although still under construction the haunted house was open. The campground its self is quite interesting as well. 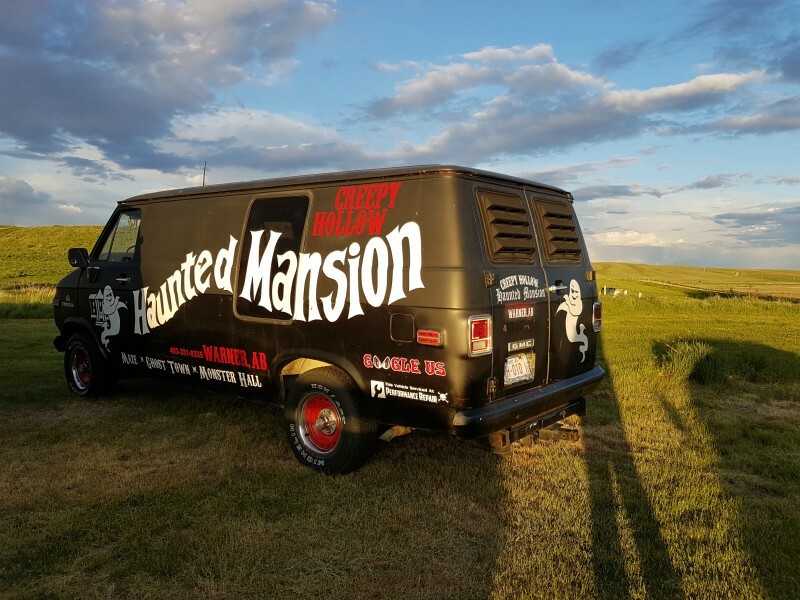 The owners used to run a haunted house in a nearby town but moved out to a farm site for the additional space. Many other interesting buildings are scattered around the property as well as a miniature railway. 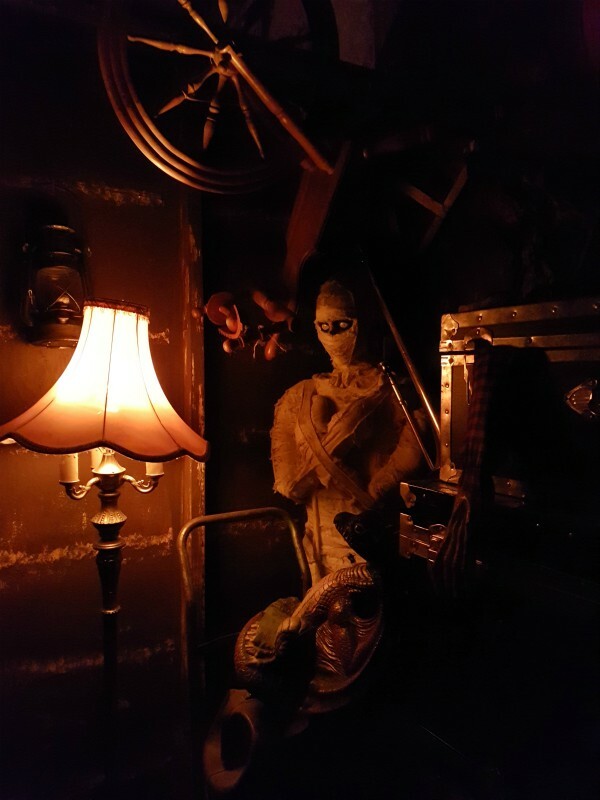 Inside the haunted house is chock-full of interesting bits and pieces. 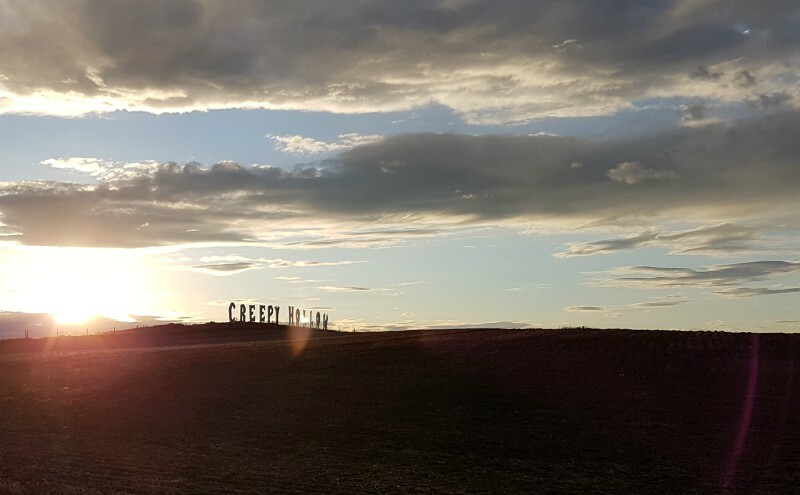 Set in the prairie Creepy Hollow is located near Warner, Alberta. It was a very present surprise with super friendly owners, interesting buildings and a car collection. This Eighties Lincoln stands guard at the exit. That panel truck reminds me of the one in the movie Jeepers Creepers. That silver hearse is a 76 Cadillac. 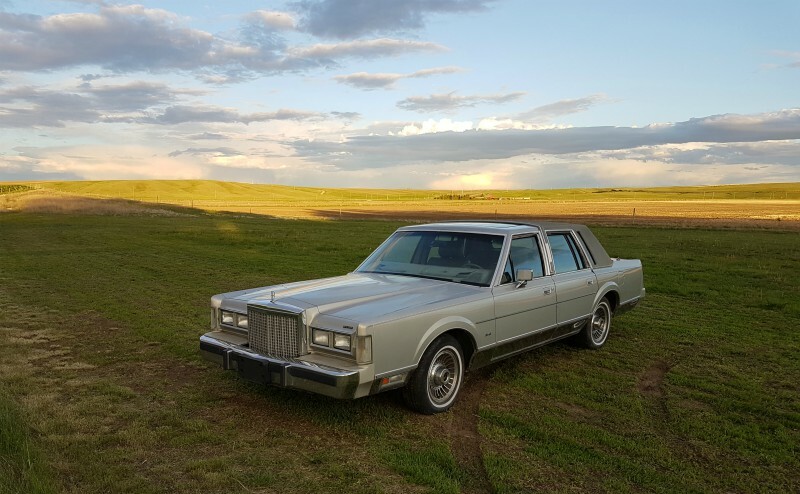 My first two summers out of high school I worked for a big funeral home that ran 4 silver Cadillac hearses – 2 1977s and 2 1978s. They had kept one 1976 as “insurance” I suppose, parked a couple of blocks away in a little wood frame garage, and it was almost never used. They finally decided to trade it in and I got to walk down and drive it back. Compared to the newer ones, it felt absolutely prehistoric in the way it drove, and probably outweighed the newer ones by 1000 pounds. It seems funny now, since it was maybe only 3 years old at the time. Why do people paint 2 door Newports as police cars? 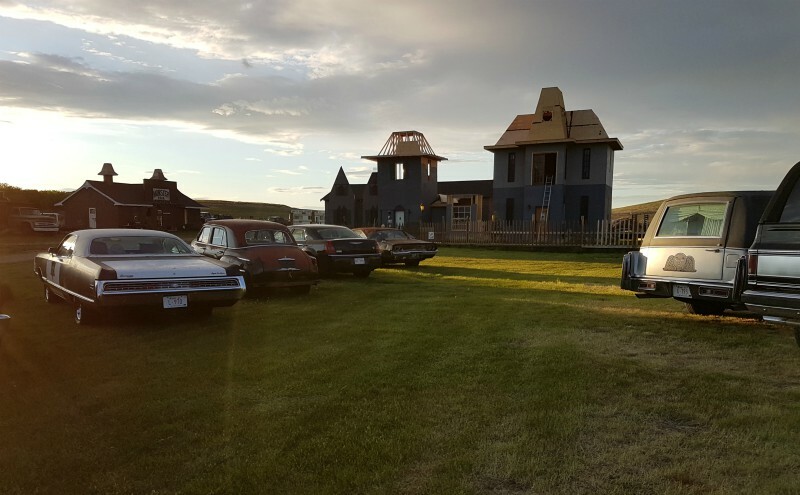 Clever idea to use old, dilapidated cars to surround a haunted house attraction. In fact, some might come just to look at the cars in the parking lot and save the price of admission. Great photos and story David. The setting sun really adds to the ambience of your shots. The owners have done an excellent job, I hope business is good. Besides great taste in cars, they have a genuine knack for set design. The fuselage Chrysler looks ‘authoritative’, and quite natural in police livery. 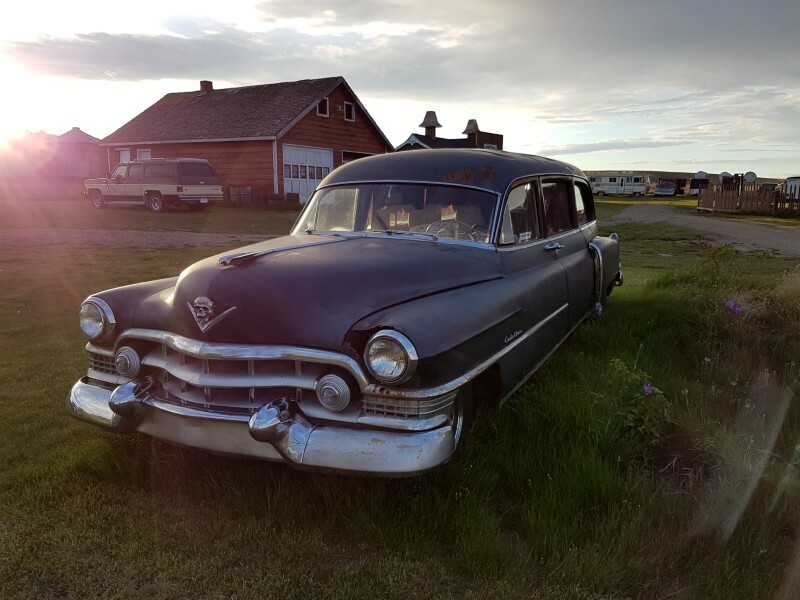 If they’re not trying for a 100-point show-car, there’s a very nice ’49 Plymouth front bumper in an Alberta ghost town that might fit that Dodge! It is about 30 north of the Montana border near Warner, Alberta. The ghost town Plymouth would be about a two drive away. I believe I have seen the Dodge Little Red Express featured in a classic car magazine some time ago. Mobile Incineration: the ultimate burnout. – I did not know this was an option in this profession. The Lincoln Town car is pretty random. That fuselage Chrysler appeals to me. The grille and taillights are much better looking than those on the ’70 Fury III 2-door my brother let me use for my drivers license test. The Rallye wheels were available on Chargers, altho not in 68. Was the Chrysler a 1971 model? Also was it a New Yorker or a 300? The Chrysler is apparently a 1971 New Yorker, judging from the squarish headlamp surrounds and taillight details. If it were a 300, it would have headlamp doors and a different grille. In 1971, New Yorkers (and 300s, Imperials, and Plymouth GTXs) had the 440 as standard equipment. 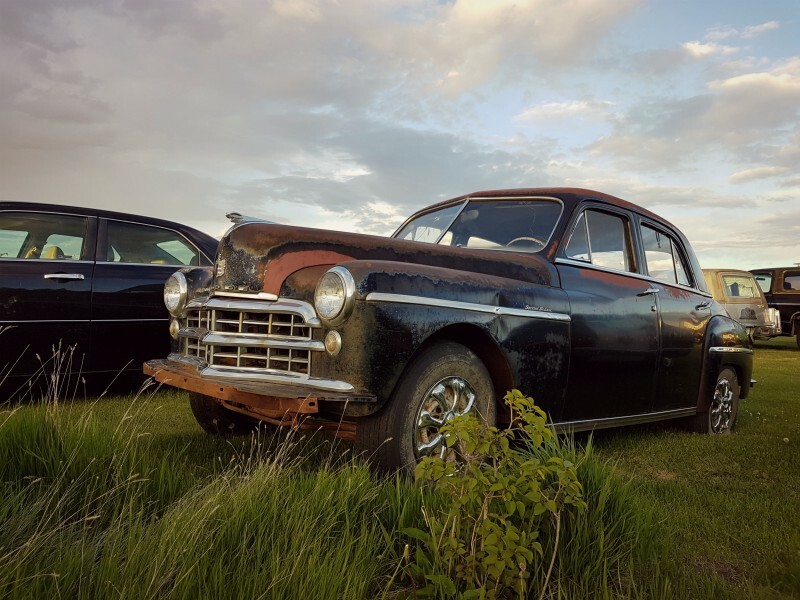 The 50’s Cadillac hearse reminds me of the (shortly) owned 1949 Cadillac hearse by my father. I especially like the Cadillac radio delete plate. Really beautiful magic hour shots, David. Fusey for me please. Nice! Always loved Caddy hearses of that vintage. That Chevy panel truck is a 3/4 (or 1 ton) version, which also has a significantly longer body than the 1/2 ton. Ah ha so it is the larger one I thought it might be with the full floating rear axle but wasnt sure. 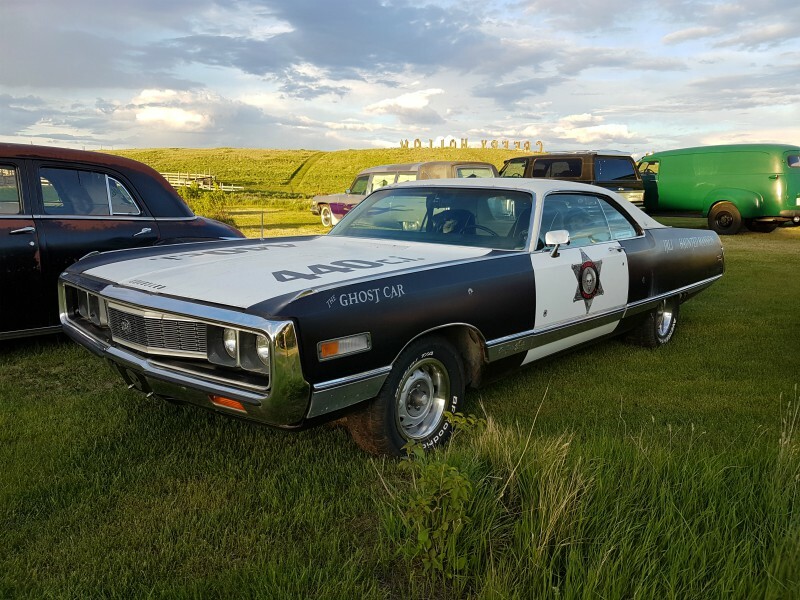 A 1968 Dodge Charger, a police car… Yeah hooo….. The Duke boys ride again, this time from beyond the grave! Gordon Lightfoot can write the theme music. Am I the only one who does not appreciate the “moving” pictures contained in this (and some other) CC articles? They make the entire article unreadable, as they cause the page to “jump” up and down (vertically, a number of paragraphs) as I’m trying to read it. It appears to be caused by the pic of the “Cadillac wreath replaced with a skull” picture (which is posted sideways in the article BTW). Like many readers, I peruse CC via my smartphone, an Android type, with an up to date operating system. No other website causes this problem, only CC articles with those (expletive deleted) “moving” and/or self-enlarging photos. Restarting the phone, clearing the cache, etc, all are useless. Nothing corrects the problem. If this is some type of “glitch” I hope it can be rectified. If it is some type of deliberate “gimmick” it is not appreciated. Articles containing such photos simply cannot be read. Hmmm, I look at a lot here with an Android phone and I have not experienced this. Anyone else have any ideas? I have an Andriod phone as well and found the image rotated but not floating. Oddly enough on the desktop through Firefox it was fine. I believe I have fixed the rotation issue for myself. Does it fix the “moving” issue for you? @JPC & David, Thank you! All is well, the issue is fixed. And not a moment too soon, the formerly-floating, jumping page was giving me vertigo, yet I still kept trying to read it.. Amazing what lengths brief glimpses of classic Caddi pro cars, numerous Mopars, and so many other favorites can entice a man to go to lol. Beautifully photographed, well-written, and thoroughly enjoyable. Thanks again! Me neither, but I’ve seen those taillights it contains. Wow! 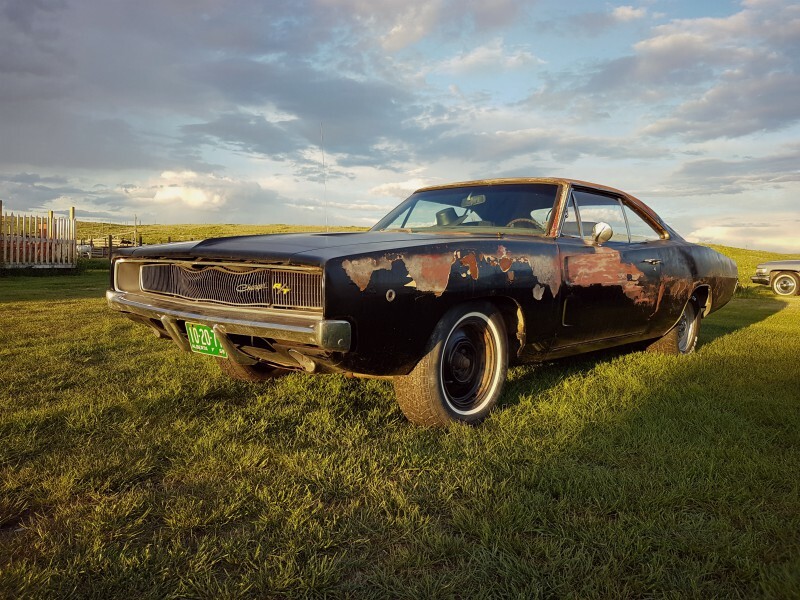 Not only a ’68 Charger but an R/T! The most tasteful, understated muscle car ever. Just a couple of demure R/T emblems and dual exhaust give a hint of the 375 HP 440 lurking under the hood. The perfect choice for the bad guys car in “Bullitt”.